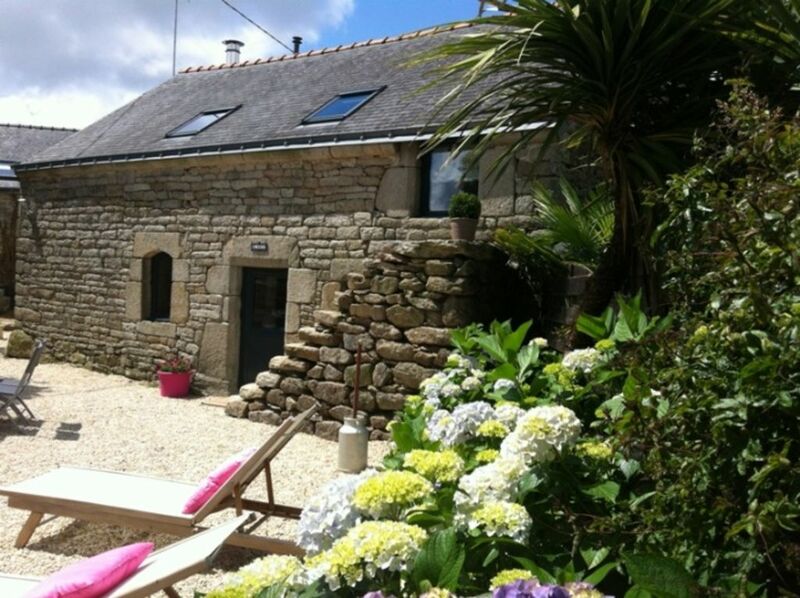 Located in a typical hamlet, on the edge of a wood, Le Kosty is the perfect alliance between the calm of the countryside and the animations of the very tourist area of ​​the Regional Natural Park of the Gulf of Morbihan. Throughout the year, come relax in Kosty on the private terrace in summer or by the fire in winter wood. At 20 minutes from the Gulf of Morbihan and the beaches, Le Kosty will let you explore the Land of Questembert, the peninsula Rhuys or Country Auray-Vannes according to your tastes. On the ground floor: living room of 38 m2 with living room-lounge with a wood stove, separate toilet, laundry and fully equipped kitchen. For your comfort; hair dryer, heated towel rail and fan heater booster. We thoroughly enjoyed the cottage which was very comfortable with everything you could wish for. The hosts were always there if you needed them and fortunately we did not have any problems. The cottage is situated ina very quiet location which was just what we needed. Hopefully we will be returning next year. Thank you very much Crystal and Yannek. It’s a very cute gite which is well located. Unfortunately there were some issues. It claims to sleep 5 - 2 adults and 3 young children would be accurate. The bathroom is lovely and although spacious does not contain a toilet. This is downstairs with only a cold water tap for handwashing. The staircase is a narrow, spiral slightly wobbly affair - not for the faint hearted in the middle of the night. The extractor fan in the toilet does not work. When we arrived the owner asked for a large deposit in cash. She accepted a smaller amount when we questioned it and it was promptly returned in full on departure. None of the beds were made up - the owner told us she had expected us to bring our own bedding and towels. For an additional amount per person she did supply these - they were of a very poor quality. The oven is built in but has not been secured. It tips forward when you open the door. There is space for a full sized dishwasher but there is a less than half sized one fitted. We needed to run it after every meal (including breakfast). The night before we left the owner returned our deposit and asked if we were going to clean the gite ourselves or pay an additional cleaning charge. The deposit, bedding and cleaning charges are not mentioned on the website or in our booking confirmation, although we note we did pay a service fee. We wouldn’t go back. Thank you for your review on our gite. Further to your various comments, may I suggest you having a deeper look in photos and description in your next rentals ? I am confirming that, as mentioned on the website , the following are not included : bedding (option), house cleaning (option), wood for fireplace (that you use during your whole stay without prior authorization that I dit not charge). Breakfast is not included either ! I am also confirming that, as mentionned on the website, the rental includes the following : a 300 € deposit payment upon the arrival (that I kindly reduce to 100 € as you did not have enough cash), a separate toilet which is compulsory for a 4 stars classification, 1 bedroom with one large bed suitable for 2 adults and another bedroom with two single beds suitable for 2 adults or 2 children. I am really sorry that the kitchen did not meet your requirements . We will take into account your comments and will operate the appropriate improvements. Be sure that our constant aim is the satisfaction of our renters, including a mutual understanding. We really enjoyed our stay at Le Kosty. The cottage was very comfortable and the owners very pleasant and helpful. It was a good base to tour the area with plenty of interesting places to visit and not far from the sea. Ideal as long as you had your own transport! Christelle est une hôte très accueillante et attentionnée. Le gîte est très confortable et très bien équipé, dans un cadre superbe. Petit coin de paradis en bretagne avec un bon accueil. La région est belle nous l'avons adopté.